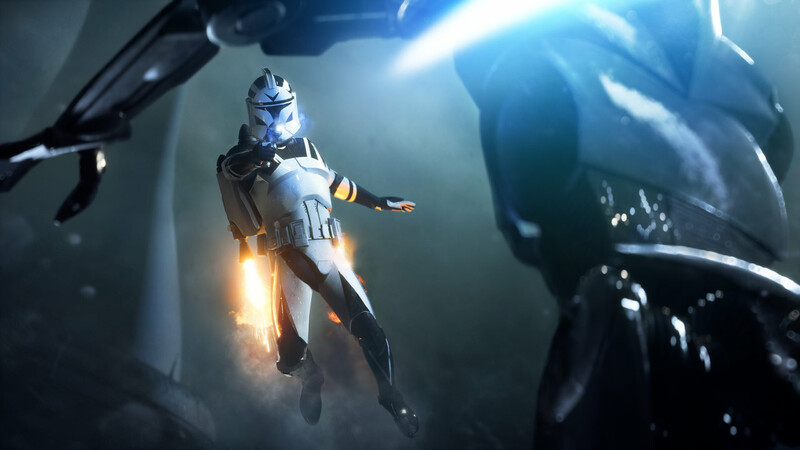 The official Star Wars Battlefront II gameplay trailer debuted at EA Play 2017, taking us fans deeper into the highly-anticipated game — including a first look at Theed, capital city of Naboo from the Star Wars prequels. 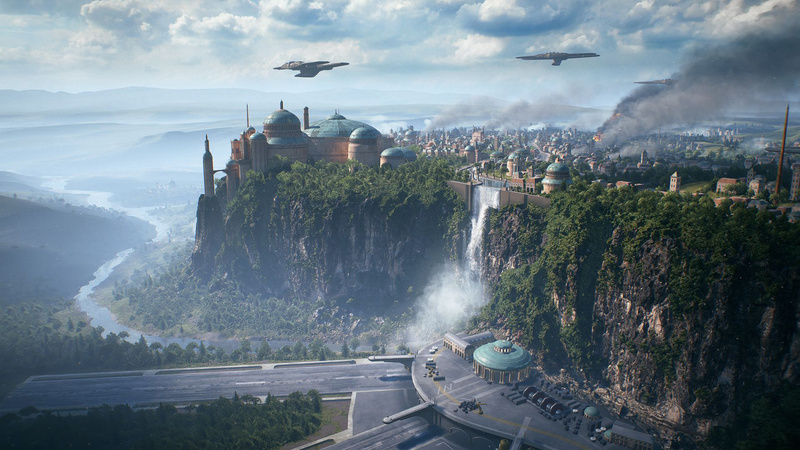 While this is just a glimpse of the map, the attention to detail for this location is unlike any seen in a previous Star Wars game, from the recreation of the Theed Royal Palace to the planet’s majestic waterfalls. 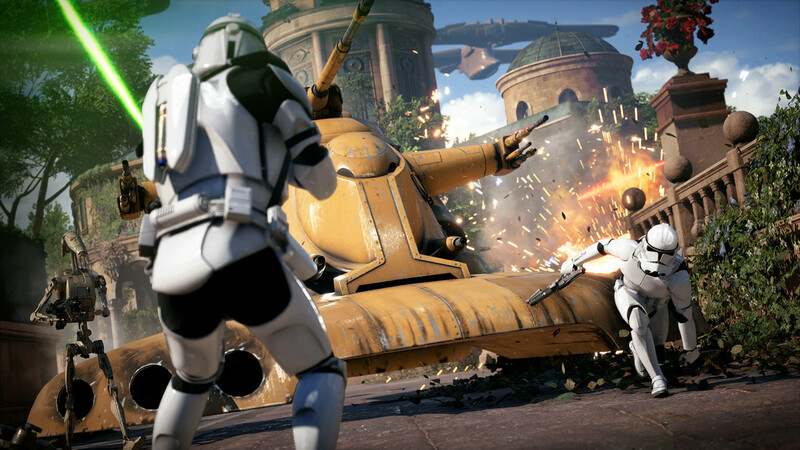 The in-game footage of battle droids and clone troopers clashing is especially intense, with numerous combatants and vehicular combat including Naboo starfighters, AAT tanks, and vulture droids. Who knew the Clone Wars could be so much fun? Playable Factions: The Galactic Republic, the Confederacy of Independent Systems, the Galactic Empire, the Rebel Alliance/New Republic, the First Order, and the Resistance. Playable Heroes: Yoda, Darth Maul, Darth Vader, Boba Fett, Iden Versio, Gideon Hask, Luke Skywalker, Han Solo, Kylo Ren, Captain Phasma, Finn, and Rey. Vehicles: Slave I, Vulture Droids, Trade Federation Landing Ship, Delta-7 Jedi Interceptor, Naboo Starfighters, V-wings, ARC-170s, LAATs, Republic Attack Cruisers, AATs, MTTs, AT-RTs, TIE Fighter, TIE Interceptor, Imperial Shuttles, Imperial Star Destroyers, Super Star Destroyers, Raider-class Corvette, Millennium Falcon, T-65B X-wings, Y-wings, A-wings, Nebulon-B Frigates, CR90 Corvettes, Mon Calamari Cruisers, AT-ATs, AT-STs, Tauntauns, Kylo Ren’s TIE Fighter*, First Order TIE Fighter, AALs, T-70 X-wings, and LIUVs. 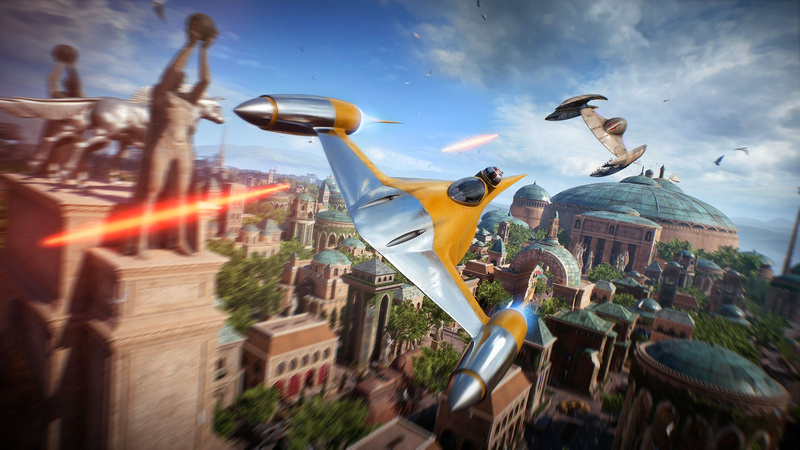 Playable Battlefronts (Planetary and/or Space): Naboo, Kamino, Kashyyyk, Tatooine, Yavin IV, Hoth, Endor, Vardos, Jakku, Takodana, Starkiller Base, D’Qar, Crait, Spaceship Interior(s), and a variety of Space Battles. 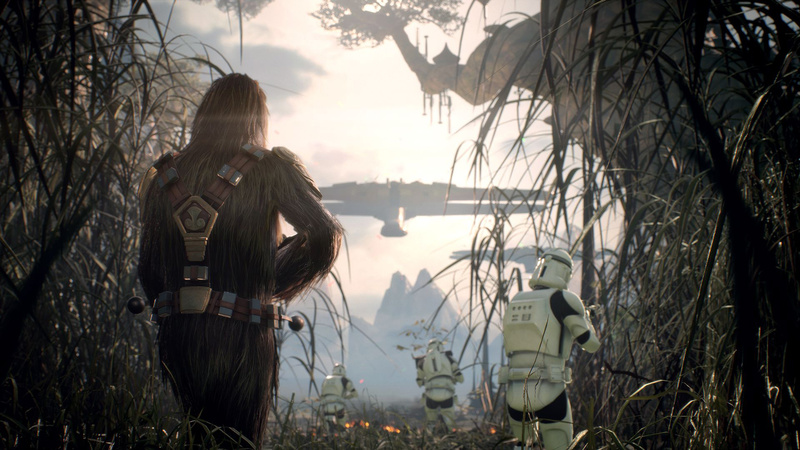 What is really good is that it appear that anything we’ve seen in trailer isn’t being saved for after the game’s initial release for some DLC, but there is stuff that’s technically unconfirmed to be in the game, but has been hinted at or otherwise rumored, include the maps of Scarif, Sullust, and Geonosis, along with playable versions of Jango Fett and Obi-Wan Kenobi. 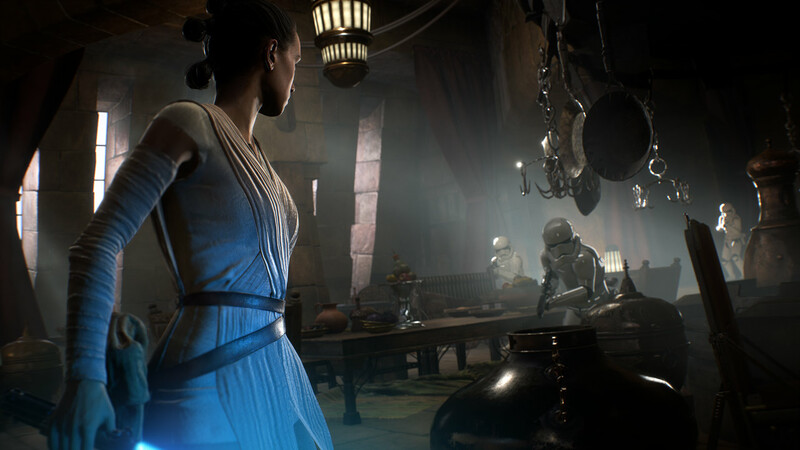 We already know the basics about the game’s story – we’re going to play as Iden Versio, one of Inferno Squad’s finest recruits, around the time that the Empire collapsed after Palpatine’s death, and learn a bit about how the various Imperial Remnants formed into the First Order. The mission that was revealed to a few outlets like Kotaku covers follows Iden’s return to her home planet of Vardos immediately after the Death Star II’s destruction to see her superior – her father, an admiral (pictured above). He shows her a message from Palpatine that gives her and her team key details necessary to carry out the contingency plan Operation Cinder. 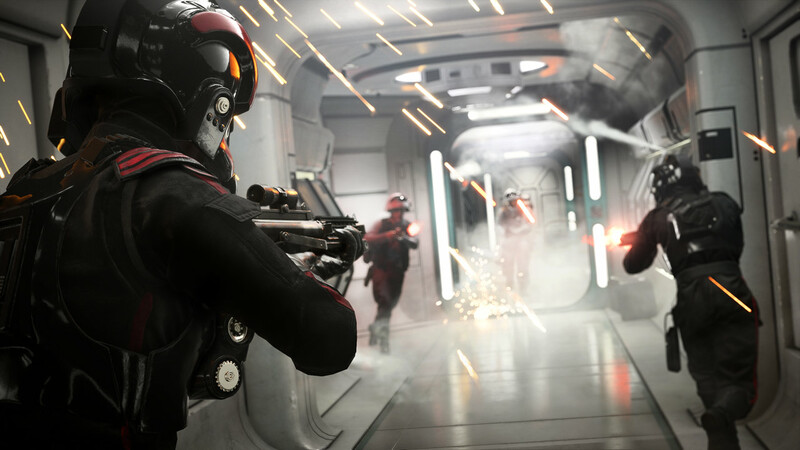 Suddenly, the shipyard that the Versios speak on is besieged by Rebel forces, and Inferno Squad leads a counterattack to allow Iden to infiltrate the Rebel frigate to destroy the ship’s ion cannons from within. 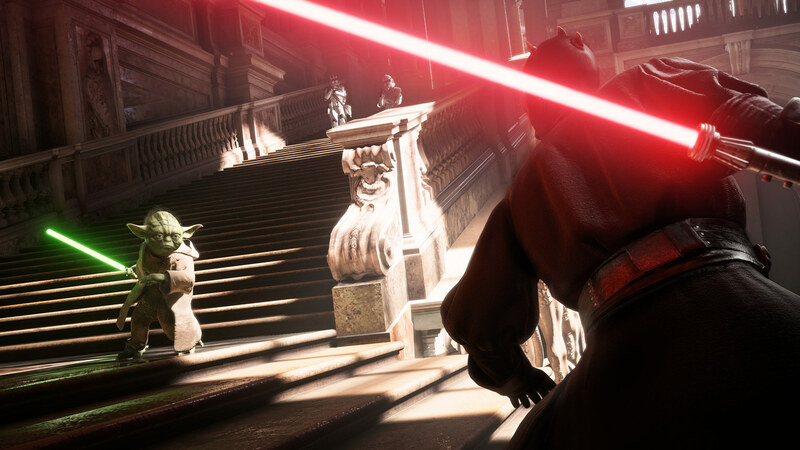 In addition to what was told at E3, they released a new trailer that showcases Yoda dueling Darth Maul, Kylo Ren fighting Rey, and even more multiplayer battles, along with another look at the single-player campaign. 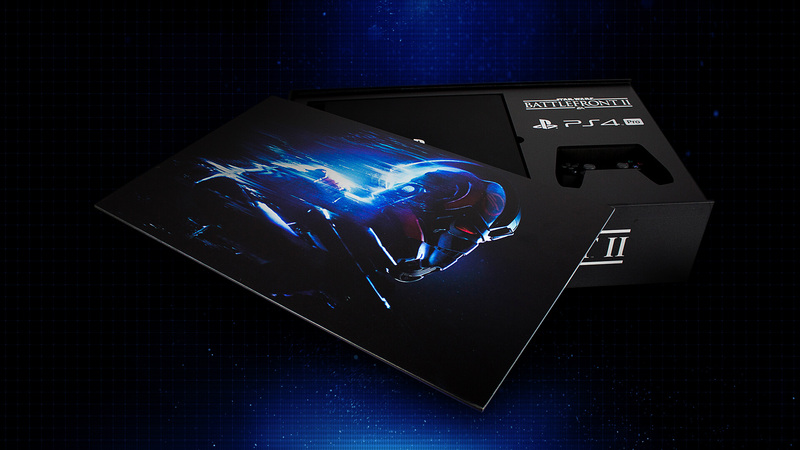 You can watch the trailer and check out a the hi-res gallery below.